With 1.5 million books on display. With around 1.5 million books on display, the 36th edition of the Sharjah International Book Fair (SIBF) was launched by His Highness Dr. Sheikh Sultan bin Mohammed Al Qasimi, Member of the Supreme Council and Ruler of Sharjah, last Wednesday. "We will fight the current darkness spread by terrorists with weapons of culture, education, and knowledge and this will guide the youth to the path of peace," said Sheikh Sultan at the opening ceremony, according to Khaleej Times. 1. It ain&apos;t just a bookshop! 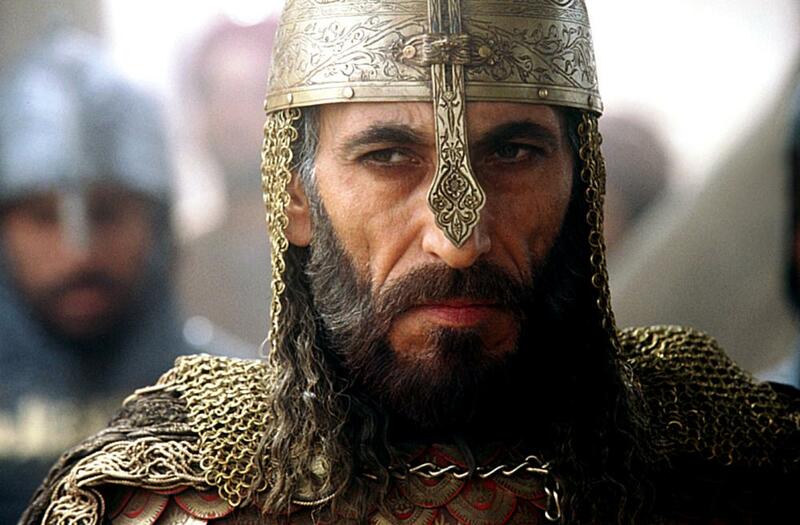 Ghassan Massoud is a Syrian actor and film-maker who is best-known for playing the role of the Muslim military general Saladin in Ridley Scott&apos;s 2005 film Kingdom of Heaven. Massoud will present his brilliant creative journey and the highlights of his artistic career at the Intellectual Hall on Thursday, November 9. Nicola Cornick is an international bestselling author of historical romance novels. She has won numerous awards and her books have been translated into more than 40 languages. Cornick will hold a cultural seminar at the book fair on Thursday, November 9 in the Literature Forum. Wasim Akram is a former Pakistani cricketer, cricket commentator, and television personality. He is acknowledged as one of the greatest bowlers of all time. He will also be at the book fair on Thursday to host a Q&A session with the audience. The book fair has allocated some time for book signing sessions this year, so don&apos;t miss your chance to meet your favorite author! Love cooking? Hosted by famous chefs like Mira Manek, you will be able to enjoy live cooking sessions of Swedish, Moroccan, Indian, Egyptian, and other international cuisines. There will also be food & kitchen-inspired entertainment shows. You can enjoy surfing the fair for good books without worrying about your children not being entertained. With a wide list of captivating shows and plays and useful workshops - such as the 3D printing workshop and Japanese calligraphy - kids will surely have some fun of their own at the Sharjah International Book Fair. For the first time ever, SIBF will host a comics exhibition where comic fans can enjoy the work on display and learn different drawing techniques. Also in attendance will be COMICAVE, the world&apos;s largest pop culture superstore involved in the retail and distribution of high-end collectibles. You will be able to learn about the greatness and fertility of artistic imagination behind the design, features, and the character of each comic hero. The social media station will teach you how to take photos and videos without a pro camera as well as building a website in one day. The complete program can be viewed here. Whether you prefer visiting after a long working day or you&apos;re just looking for something to do on the weekend, Sharjah International Book Fair is open on both working days and weekends. 8. 728,000 visitors in just 5 days! According to Ajman News, the book fair has succeeded to attract more than 728,000 visitors in just 5 days! Whether you are a fan of fiction, philosophy, or history books, there will be something on display for everyone. 10. Because it&apos;s in Sharjah! If you have never been to Sharjah, consider the book fair a chance to discover this fascinating city. Starting from the Andalusian style building structures, all the way to the butterflies house and Flag Island!